There might have been multiple testing processes across different segments of the entire software development life cycle. The functionality, the interface and the integration definitely deserve to be tested, but nothing proves the awesomeness of the product or application until the product is tested through all the steps of the users journey. This is where the importance of end to end testing, commonly abbreviated as e2e testing comes into play. While different aspects of testing might cover the visual aspects, end to end testing also check the backend database for its health and consistency. Since the functioning of an application is contingent upon how good the database is end to end testing qualifies the application to be more eligible for the market. End to end testing looks at the application just as the user would and I can taste applications that are based out of cloud, distributed and heterogeneous environments. This can help pinpoint problems and can give a 360 degree check for the application. The architecture for applications is a lot more Complex and is distributed across multiple choice. In this Complex architectures, validating the behaviour of an application through the system workflow is of vital importance. End to end testing helps just the overall functioning and the response over linked systems to identify the triggering of processes and the subsequent behaviour. While the UI testing covers the essential aspects of the interface, it is important to look at the experience and how a customer interacts with the application. It is this end to end testing alone that can verify or test with expertise and empathy at the same time! If what is pending between your complete development and you going to market this end to end testing, only need to do if get in touch with us and our team will take care to perform all the essential elements of end to end testing and ensure that your product is not just ready to go to the market but also to delete the user in their experience of using your application! Claritaz brings you a team of experts who understand customer experience and business, and also have the skill to perform end to end testing. Our focus is more on the usability and the business aspect of everything else and this is what makes us one of the best end to end testing companies. 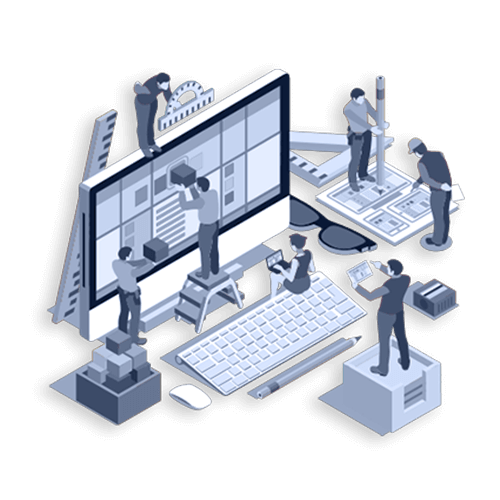 Our end to end testing process is full proof and we simulate real user behaviour to troubleshoot all the components such as the user interface, the database, the network, the external systems and even the integration with different modules of the application, both internal and external.